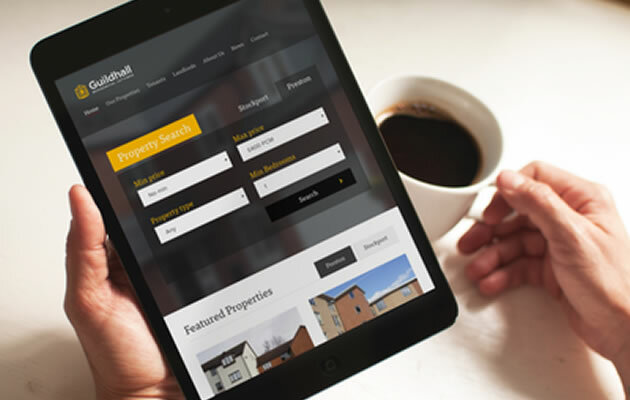 It’s always exciting to be launching new websites, and our latest is for Preston based Guildhall Residential Lettings. Guildhall were in need of a website that would refresh their business to help aid expansion and growth, as they’ve just opened a new Stockport office. Having experience working with clients within the residential sector (including Sanderson Young and Heaton Property) we provided Guildhall with a fully responsive website designed and built to help grow their business as they move into an exciting period of development. The site automatically pulls through property details using a variation of the Vebra property management software. Vebra is a third-party piece of software that manages all of the property data. Users can then search for properties based on a number of search criteria including Guildhall’s office locations. Having worked with Union Room previously on a project with a different company, I was delighted to return to them after some difficulties with another web developer. They were professional, creative with their proposals, and efficient in delivering the project. Since our new website launched last week, the feedback has been extremely positive and I can already see it helping our business grow. 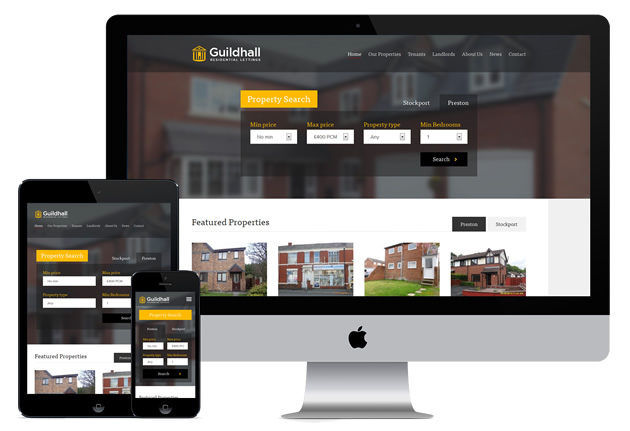 We hope to be further developing the site with the team at Guildhall and look forward to a long-term working relationship providing them with our web design services. For further information on responsive website design or integration of third-party software to your website, please don’t hesitate to get in touch.